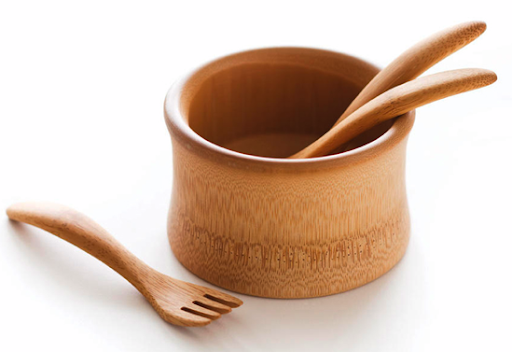 If you're looking for a unique and exquisite gift for the pint-sized foodie in your life, look no further than this sustainably crafted baby bowl made from organic bamboo. Not only will it look beautiful on your table, its depth will keep food where it belongs -- in the bowl and ready for your little one to eat. This bowl will also make a beautiful keepsake in your child's room when he/she is older, and may house special trinkets and mementos, extending its life and functionality indefinitely! Bamboo utensils are sold separately.